WestLAND Group delivers a comprehensive range of civil engineering and site development services to an expansive array of clients across a multitude of industries. We pride ourselves on finding creative, innovative and cost effective solutions to our clients’ requirements every day. Integrating our technological expertise in the conceptual and preliminary design phases enhances design solutions and reduces cost through the life-cycle of the project. At WestLAND Group we understand that the success of your project becomes our responsibility when you select us to design, permit, or manage your project. Our reputation is built upon a solid foundation of innovative solutions, rock-solid dependability, and uncompromising service. WestLAND Group has the expertise and proven track record to help you plan, design, and successfully complete your next project. The WestLAND Group partners with our clients and their vision at the beginning stages of development to carefully guide and traverse through a successful entitlement process. You can trust that we have the depth of experience, knowledge, and lasting relationships with the local agencies to ensure that your vision comes to fruition. We take pride in applying sustainable design principles to our design projects, augmenting traditional site construction documents. Our firm combines traditional site development design experience with expert application of Low Impact Development techniques. Our staff is experienced in applying LID criteria to development and re-development projects in a cost effective manner, especially in the areas of hydrology and water quality. Location: Rancho Cucamonga, CA - This 3-acre commercial development required boundary analysis, topographic surveying and final parcel map, preliminary and final engineering, including grading and drainage, off-site street improvements, WQMP, SWPPP, utility connection design, permitting assistance, construction staking, and construction support. Location: Monterey Park - Contributing to the growing improvements in Monterey Park, Calif., the Charles Company is transforming under-utilized lots into large mixed-use opportunities with new retail and hotel accommodations. Providing multiple green spaces with modern transit opportunities the project will improve the esthetics of the area creating a dynamic atmosphere for the public. The site will include a 5-7 story hotel with apartment living and abundant ground floor commercial uses. WestLAND Group has been spearheading the Entitlements Process for the project which includes preparing the tentative tract maps, Surveying, lot line adjustments, site plan review, conditional use permits, and variances. Location: Ontario, CA - WestLAND Group processed all record maps and furnished design engineering services associated with this 10.5-acre development in the City of Ontario. We provided all permit processing, construction staking, and construction support. Location: Chino Hills, CA - WestLAND’s involvement in this 6-acre commercial site development project included surveying and mapping, preliminary and final civil engineering design, storm water management, retention basin, construction staking, site grading, utilities, infrastructure, and street improvements on Peyton Drive and Chino Hills Blvd. WestLAND Group worked with the various agencies to mitigate issues and obtain final permits for construction. 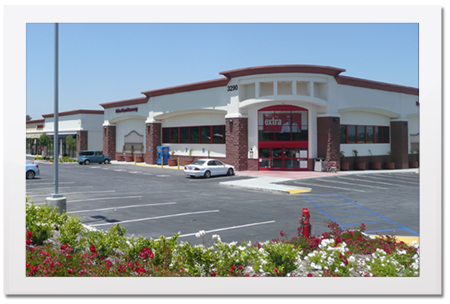 Location: Alhambra, CA - WestLAND Group was retained by Turner Construction and our involvement in this construction project included reviewing Civil, Architectural and Structure plans and generating RFI’s for any discrepancies found with regards to the building, drainage, and site layout. WestLAND surveyed the boundary and conducted a design survey on existing improvements in order to review existing with proposed improvements. Data was analyzed and any grading enhancements were field designed as needed. 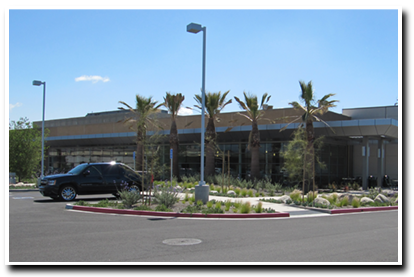 WestLAND also provided the construction surveying and staking required for the construction of the building, streets, drainage structures, utilities, and parking lots. 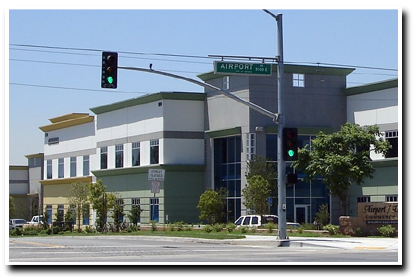 WestLAND engineers also updated the drainage and grading plans with as-built information which was required by SCE and the city of Alhambra.